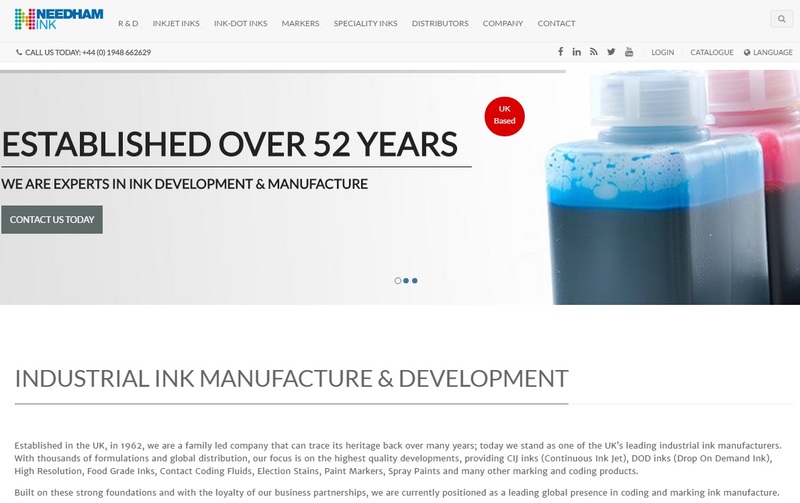 Needham Ink is an industrial ink manufacturer based in the UK. This family-run business has been around for many years, and their main focus is their customer. To that end, they offer amazing products at affordable prices, and offer a huge variety of inks for their customers. You can visit the website from the link above and you’ll be presented with a full catalogue of available products. From inkjet inks, to ink-dot inks, markers and speciality inks, there’s a lot that you can choose from. Also, if you’re looking to become a distributor, make sure you get in touch via the website to set everything up with them. With over 54 years in business, over 300 established customers, a staggering 1200+ ink formulations and currently supplying over 70 countries, Needham Ink is the go-to place for all your ink-related products and services. Check the website for job vacancies, news, certifications and awards and contact information for any queries you might have.